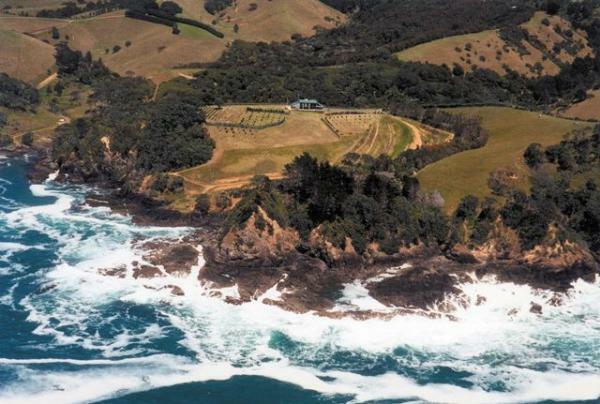 Sailfish Cove is a small family owned vineyard and winery situated on the beautiful Tutukaka Coast and overlooking the renowned Poor Knights Islands. Planted in 1995, Sailfish Cove now produces a wide range of wines from the popular Pinot Gris to a lovely warm full bodies Shiraz. The cellar door is open by appointment and for special events. Turn off the main Matapouri Rd and travel 2kms down North Gable Way to arrive at the cellar door. You’ll likely be greeted by Shelby, the vineyard dog who loves visitors. Then come and sit on the deck, sample the great wines and enjoy the spectacular ocean views while Harvie entertains with stories of Tutukaka, the wines and the vineyard.